It took a while and batches and batches of fail biscuits but finally I found a recipe that mades a non-spread sugar biscuit. You can add lemon zest or different essences for different flavours but I sort of like vanilla. 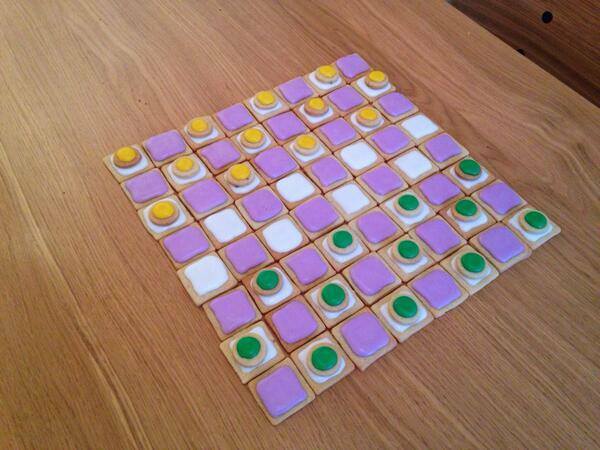 I used these to make edible draughts which looked like the love child of iced gems and PartyRings. If you want to decorate them like I did, I used royal icing sugar and water plus paste food colouring and the flooding technique, outline the biscuit using a fine-ish nozzle on a piping bag and then fill in and tap to smooth out the icing. 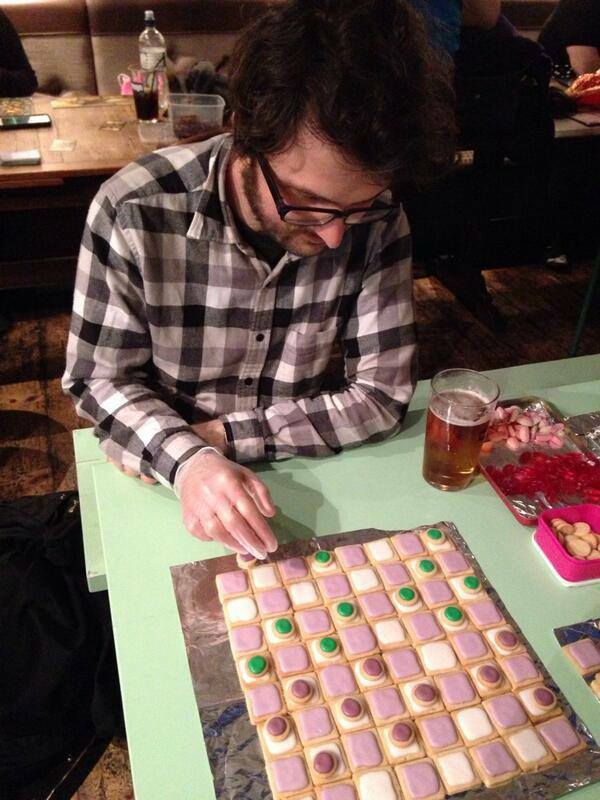 The results were totally playable and pretty tasty. How long did you cook them for and at what temperature? JUST MADE THESE WITH A SIX YEAR OLD BOY. WE HAVE NO IDEA WHAT TEMP AND FOR HOW LONG!!!!!!!!! It is all in the method in the instructions!